Mammut is absolute alpine. The Swiss mountaineering equipment supplier specializes in outdoor clothing, backpacks, climbing equipment, avalanche transceivers, headlamps and sleeping bags. Scott is an international sports company that develops, markets and distributes products for biking, winter sports, running and motosports worldwide. Initially accessories such as hats and gaiters were the center of their collection, but today Outdoor Research equips climbers, mountaineers and outdoor enthusiasts from head to toe. Icebreaker was founded in 1994 being the world’s first company to develop a layering system for outdoor clothing made of merino wool. At the company’s headquarters in the Canton of Berne, a team of 40 employees is committed to developing and producing ski touring bindings of the highest Swiss quality. Black Diamond is all about climbing and skiing. The brand’s employees have at least as much passion for rock, ice and snow as their customers. This passion motivates them every day anew to create the best possible equipment for the global family of climbers and skiers. Climbing skins 100 % “Made in Austria”, this is what contour stands for. The family run business has more than 40 years of experience in the development and manufacturing of climbing skins. Snowline spikes can be worn with a wide variety of shoes and provide secure grip on any terrain, from ice, snow and frozen ground to mud, wet grass and slippery rocks. All the single trails of the best mountain biking areas – that is the claim of the Supertrail Map. The best downhill runs in the most attractive freeride spots in the Alps – that’s the promise of the Freeride Map. With just a few clicks, a fully functional alpine ski boot becomes a comfortable, warm and stylish winter boot. The Dutch brand Rubytec develops innovative sports, camping and travel products. 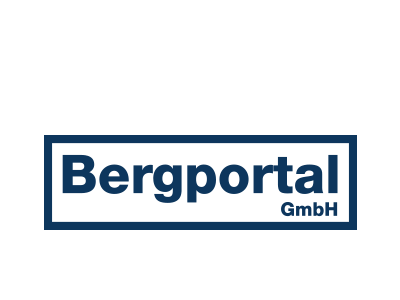 The mountain sports portal Gipfelbuch of Bergportal GmbH is one of the largest online platforms for mountain sports and outdoor activities in the Alpine region. Loksak produces lightweight, high-tech storage bags that reliably protect electronic gadgets from water, dust and invading microorganisms. LifeStraw water filters turn microbiologically contaminated water into clean drinking water using modern hollow filter technology. Innsbruck is the capital of the Austrian federal state of Tyrol and lies at an altitude of 575 metres. The Innsbruck region includes 40 holiday villages that extend into the high alpine region. The innovative Stromer electric bikes offer the ideal solution for the challenges of daily commuting in urban areas. Michelin now transfers its expertise and experience in rubber and grip technology to the manufacturing of soles for work, outdoor sports and lifestyle footwear. Crossblades are a completely new snowshoe system that allows you to walk and climb uphill as well as to ride and glide downhill. Functional, perfectly shaped and individual – Deejo knives are made for people who love beautiful things. For more than 20 years, Light & Motion has dedicated itself to the development and production of lighting systems that revolutionize the diving, bike and outdoor markets. 7mesh manufactures functional clothing for cyclists riding on wide and thin tires, trail, gravel and road.